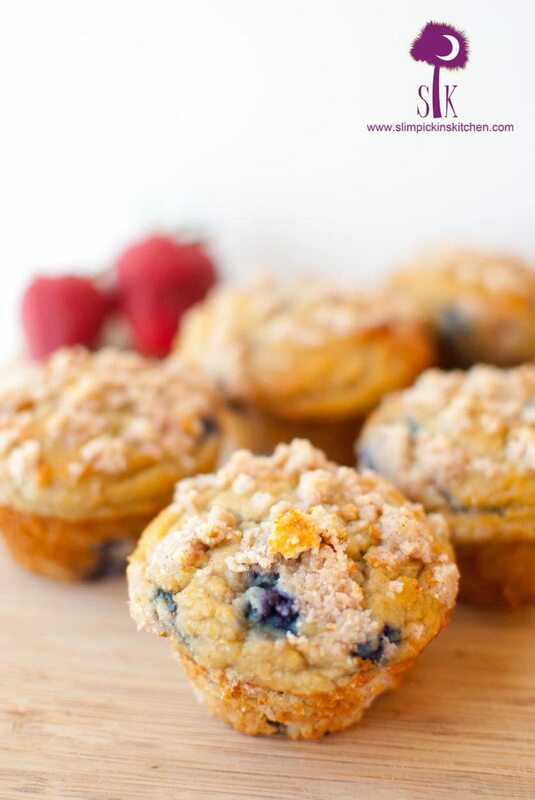 These grain-free almond flour muffins are bursting with fresh berries and are an excellent and easy breakfast or brunch recipe! 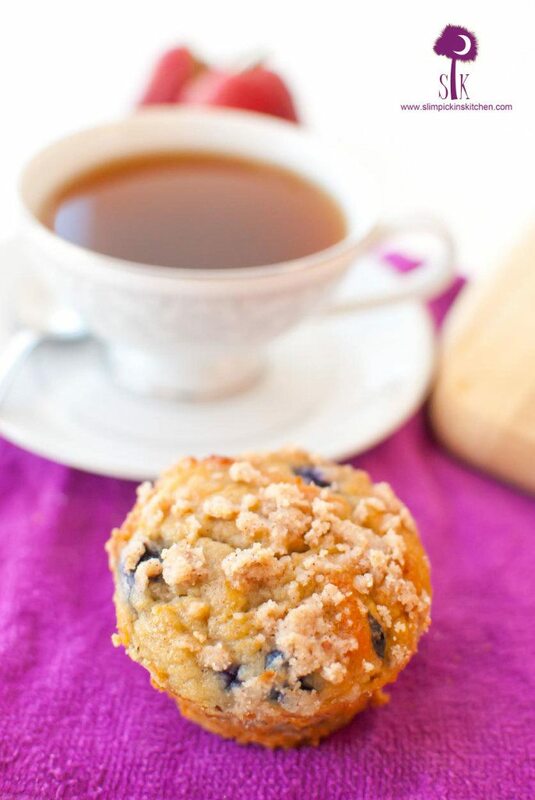 Grain-free double berry crumb muffins the size of your face. 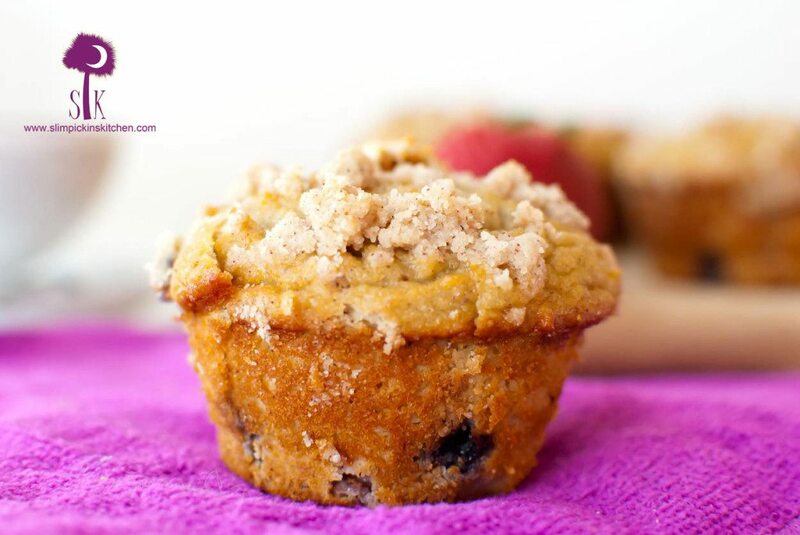 Grain-free muffins with almond flour and tons of other goodies. That’s a great way to start your morning, don’t ya think? After thrusting your fangs into these gloriously fluffy breakfast cakes and savoring the flavor of the bursting berries, you’d never believe they were also clean eating, paleo, gluten-free, dairy-free, and refined sugar-free as well. Even better…replace the egg with some flax seed and water and use maple syrup instead of honey and these bad boys could be vegan too! PS. I totes haven’t tried that actually so let me know if it works…. I do have to be honest here though. Baking is certainly not my forte. I had to make four batches before they came out to my liking. The first round I just tried to make low-fat muffins and used whole wheat flour as well as AP flour. I, of course, was also incredibly sleep deprived and completely forgot to add baking powder. OMG. Those things were naaaaaaaaaaasty. Like, nasty, nasty, nasty. Straight into the trash those went. For the 2nd batch I used Greek yogurt and the same flours as mentioned above, and they were a hot gummy mess. I didn’t throw those away b/c they were still edible, but they clearly didn’t meet blogging standards. I finally decided I’d test out a grain-free and gluten-free variation, and they were perfectly delectable. Unfortunately, they were so tiny I could eat about 15 of them in one face plant and still come back for more. I’m a breastfeeding mama who needs tons of calories in my life at the moment, y’all. Those little baby muffins just wouldn’t do. 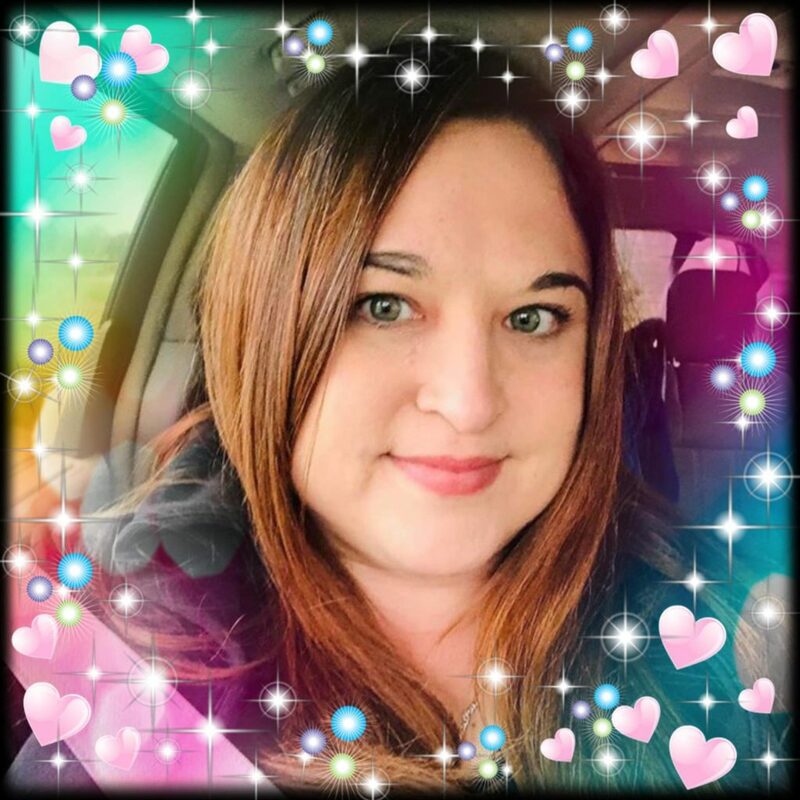 Plus, I wanted to pretend like I was eating one of those giant, 5 bajillion calorie muffins that are speckled with sparkling sugar and dotted with chocolate chips that beckon my name anytime I walk into my favorite coffee shop. No, they aren’t speckled with shimmering sweeteners, but they are jumbofied and do have a fun crumbly crust on the top to give them a bit more pizazz. I chose to use strawberries and blueberries for this batch, but I’m sure any mixed berries would work. Oh, and for my readers who don’t like nuts? Please try baking with almond flour just once. I solemnly swear you’ll never taste ’em. Gah! These muffins are so…how can I describe them without using the dreaded m-word…humid? No. Spongy? Better. Luscious? That’s it. They are so luscious and tender that you’ll instantly find yourself wondering why you’ve never made your muffins with almond flour before. Once you taste the difference you’ll be whipping these up for your book club gatherings, PTA meetings, and Sunday morning Easter shenanigans. Don’t celebrate Easter? That’s ok! Make ’em for yourself as a special springtime treat and bypass all the chemical laden Easter candy plaguing the aisles of the store. Except the Reese’s peanut butter eggs, of course. Pre-heat oven to 350 degrees and line a muffin tin with liners or heavily spray with non-stick cooking spray. 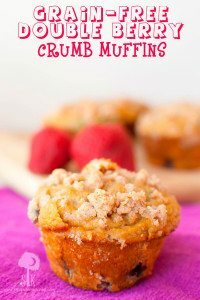 In a small bowl, combine all of the ingredients for the crumb topping, mix and squeeze together with fingers until crumbly, and set aside. 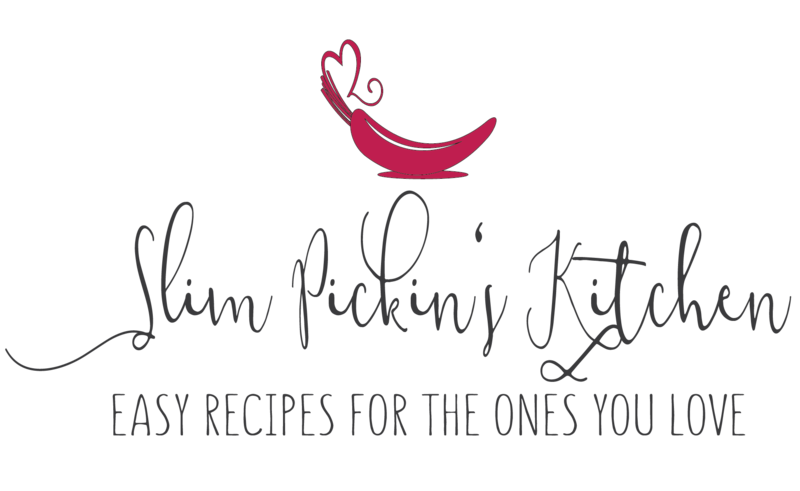 In a large bowl whisk together almond & coconut flours, baking soda, salt, cinnamon, and nutmeg. In a separate bowl, whisk the honey, eggs, coconut milk, vanilla and citrus zest. 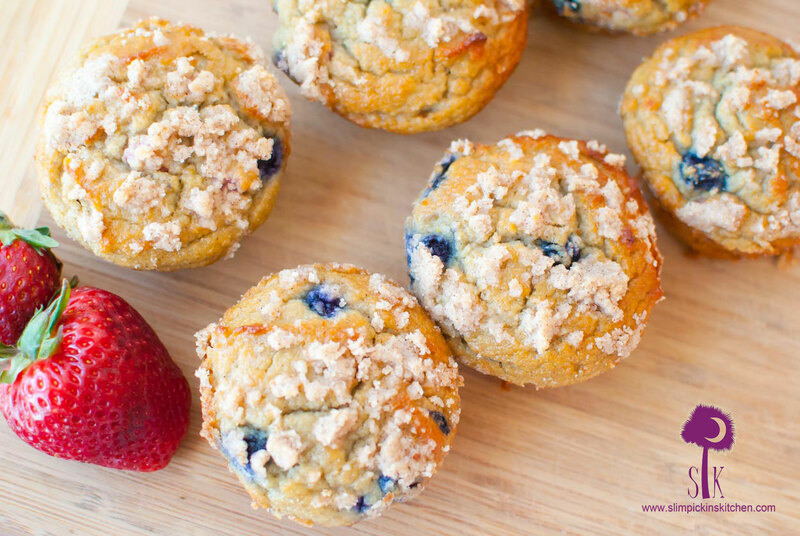 Gently fold the blueberries and strawberries into the almond flour mixture until even distributed. Add the wet ingredients to the dry, and mix until well blended and all flour is incorporated. DO NOT OVER MIX. Using a large ice cream or cookie scoop, spoon the batter into the prepared tin. Crumble a bit of the reserved topping onto each muffin. Allow muffins to cool completely before removing from tin. If they stick, use a butter knife to gently remove them from the pan. Serve as soon as they are cooled or store in an airtight container in the fridge.